We ran a series of workshops to understand the Library’s various challenges and objectives, inviting archival, curatorial, IT, education and marketing staff to contribute. The resulting suggestion was an app entitled Dozens and Trails. 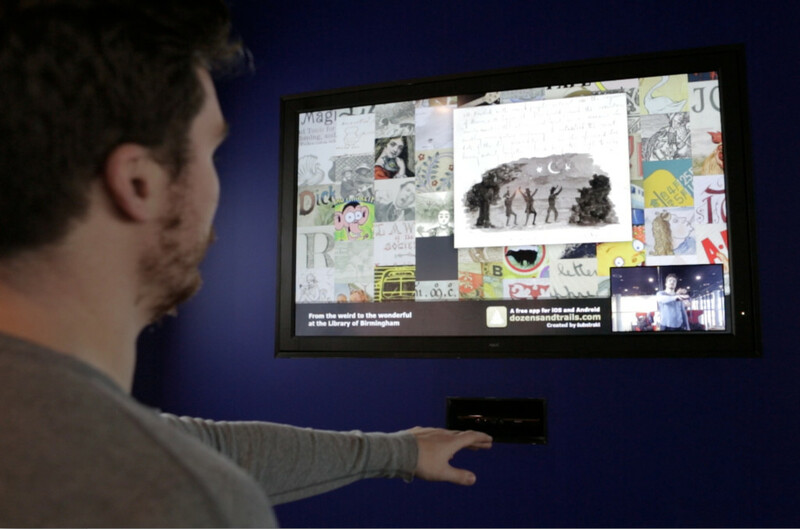 Dozens are sets of 12 connected items, hand-picked favourites from the Library’s staff and partners, whilst Trails are illustrated tours offering a fresh perspective of the Library’s collections out and about in Birmingham. Dozens and Trails provide a means of accessing the breadth and depth of the archive and heritage collections, suitable for both new and existing audiences. 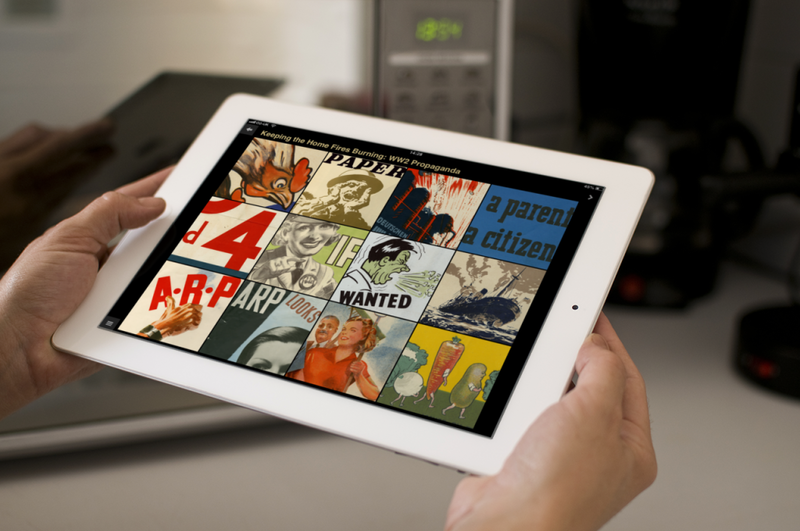 Users can browse through visual highlights of the Library of Birmingham’s extensive collections, events and activities, using their smart phones or interactive and gesture controlled screens within the building. Favourite pieces from the archive can be downloaded and printed for a fee, thereby creating a new commercial stream for the Library. We encouraged staff from across the Library to contribute their staff passions and expertise and become curators for the app. This gave an exciting and diverse content base. Dozens and Trails is an iOS (iPhone and iPad) and Android app, large screen interactive display and Kinect gesture controlled application. 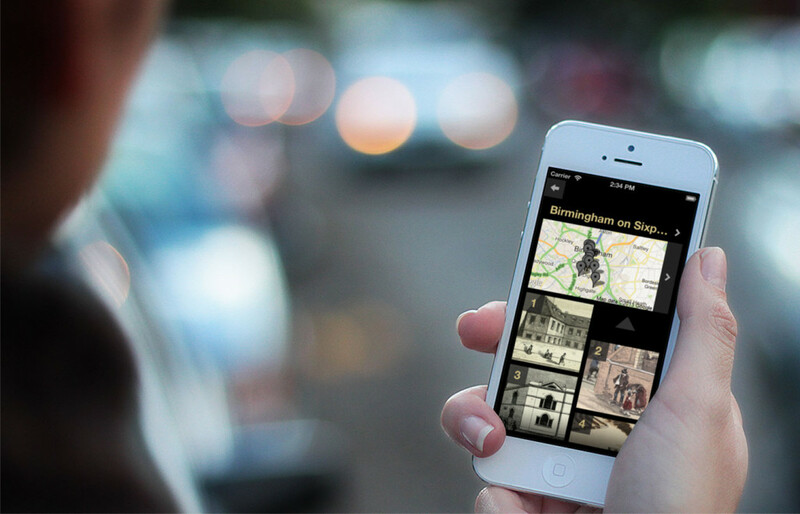 Using our CMS, the Library of Birmingham have full control to update the app, ensuring content remains fresh and relevant.